Good morning! 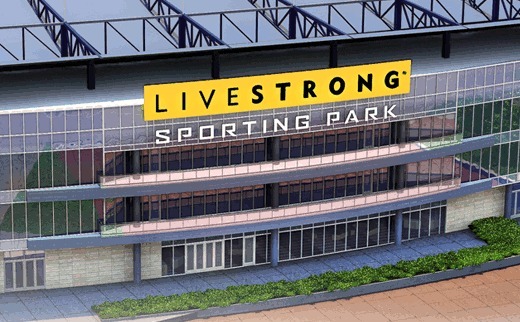 The Red Bulls travel to the heartland to take on the mighty (and horribly-monikered) Sporting Kansas City at newly-disgraced Livestrong Park (9:00pm ET, ESPN2, match notes here) in a true 6-pointer! Will the Sporks extend their 2-point lead over RBNY in the division and Supporter’s Shield race, or will Los Toros Rojos find the away form that has been severely lacking this season? The franchises are completely even in head-to-head play (17-17-9) so fans should pay close attention as this is the first of three meetings for the two Eastern powers this season. Sporting Kansas City has won its last three matches and its stingy defense (league-low 22 goals conceded, just 8[!] at home) presents a formidable challenge for a Red Bulls side that will be without Thierry Henry. Brian Lewis at the NY Post reports that the Red Bulls should have new winger Lloyd Sam and Brandon Barklage available for duty. While DJ Solli has been huge the past few matches (much to The Big Viper’s chagrin), the Red Bulls will surely benefit if Sam can provide some more speed down the right side. Similarly, a healthy Barklage means less reason for a Roy Miller appearance. We have been mostly rubbish (mate) on the road this season, so until I see proof that this team can perform under pressure away from home I will have to predict disappointing results. Another lackluster road loss, I'm afraid, with Thierry Henry again refusing to speak with media after the game. We may even see a Red Bulls player sent off, since we seem to be riding our luck with referees recently. 3-0 KC win. It's a loss! We're crap away and Thierry Henry will not be taking part in this one. Don't know if it will be 1-0 but, whatever the scoreline, it will be a loss. Here's hoping I'm wrong. I'm afraid I must agree with my comrades. Our away form has been awful and we're not going to come back from 2 goals down to KC the way we did against Portland. I'm hoping that, somehow, Cahill and a motivated Sam inspire the team to a 1-goal loss. Sporks take it 2-1. The talk this week, at least on Seeing Red, was how Portland provided the blueprint for beating the Red Bulls: with speed. I would say that Colorado provided that blueprint last year in their 4-0 demolition of our squad, and that Hans Backe has done nothing to address the problem in all that time. But when we get beat, it's usually on a counter attack, where our wingers have pushed way up and our centerbacks have split way too wide, each trying to cover half of the backfield. It's been going on for the last two seasons. If there's a bright side, Erik Soler gave an interview where I felt he was putting the screws to Backe a little bit--he said we can't win that way and he expects Backe to fix it. So, hopefully, we start to address these problems. Until I see Miller off the pitch and Barklage back on it, I'm not sure we will. Kansas City has a diverse attack, with speed, and I expect Stone Cold Bill Gaudette to have his hands full. He'll be hung out to dry a couple of times, and we will unfortunately lose another road match, 3-2. Goals from Cooper and Cahill. Several errant final touches by Le Toux, and three 25-yard blasts over the crossbar from Connor Lade will secure the loss. Expect a very defensive approach with the objective to shutout the Wiz at Livestrong (can't allow myself any Lance jokes, as the stadium is pretty good for Missouri), where they've been more vulnerable of late. Perhaps we'll steal some points with a counterattack, but the defensive lapses of last week will have been corrected and I'm looking for 0-0 in this massive road test. Let's hope the team proves us all wrong with a smashing victory. Be sure to check back after the game (okay, maybe Monday) for Who Shot Sam's post-match report.